“We are absolutely delighted and very proud indeed to have won funding for this terrific project which could well become a national example for others to follow." 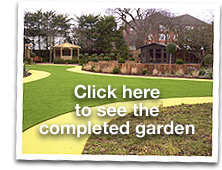 The Darby and Joan Organisation received £270,000 for a custom-made garden, designed to help dementia sufferers. The garden is based at St Martin’s Residential Care Home, Imperial Avenue, Westcliff, run by The Southend-on-Sea Darby and Joan Organisation, and will regularly be available for dementia patients to visit from elsewhere. It incorporates best design principles for dementia care and research from the Kings Fund Institute on Enhancing the Healing Environment. The Southend-on-Sea Darby and Joan Organisation together with Southend Council, successfully bid for the money from the Department of Health funding. 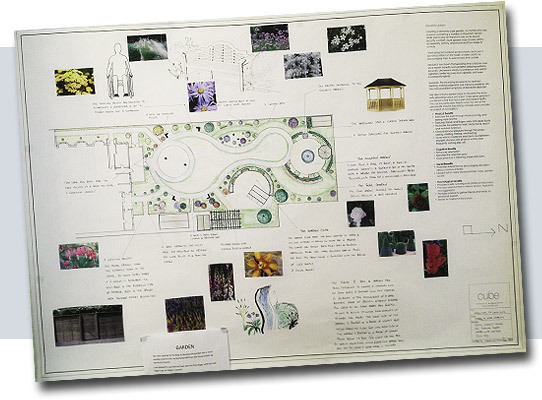 Now that it is completed it is expected that the garden will become a national example of excellence in dementia care to specifically help with challenging behaviours such as aggression often associated with dementia, to help trigger memories, and stimulate the senses with floral fragrances and colours. It includes a path in a figure of eight pattern to help sufferers who like to wander. There is also a colourful section to stimulate senses, a village green-style area complete with bus stop and postbox and social area featuring garden games. The garden also includes an area where residents can cultivate plants. Lesley Salter, the council’s member for Adult Social Care, Health and Housing, said: “We were absolutely delighted and very proud to have won funding for this terrific project." The garden called: ‘Walkway to a long Life’ was designed by the Council’s Dementia Manager Chris Harris, staff and relatives from St Martin’s and Chelsea Gold medal landscape designer Sean Butler from Cube 1994 - an Essex based company with expertise in developing sensory gardens. Michelle Rogers, from the Southend-on-Sea Darby and Joan Organisation, added: “The design of the garden is such that it aims to be an extension of the home and we hope it will bring huge health benefits for all at St Martin’s." “The garden will also be regularly available for the benefit of people who suffer with dementia in the wider community." Following a review by the D&J Organisation into the development of environments which better meet the needs of people with dementia, Sean Butler of Cube 1994 was approached to design a garden to meet this need. ”Our aim is to provide the best possible care and affection in a friendly and informal environment. We want our residents to live as normal and as full a life as they desire. We wish to ensure their individuality, freedom of choice and personal dignity are respected at all times."